I haven’t done a skin/beauty post in a while and I thought I’d update you with what I’ve been using. As I think seasons do determine your skin care and the types of products you use. All this heat has got me wanting clear skin because everyone loves a bare face when it’s sunny just with that natural glow. These products have helped me get that good glowy skin so I thought I’d share my routine. 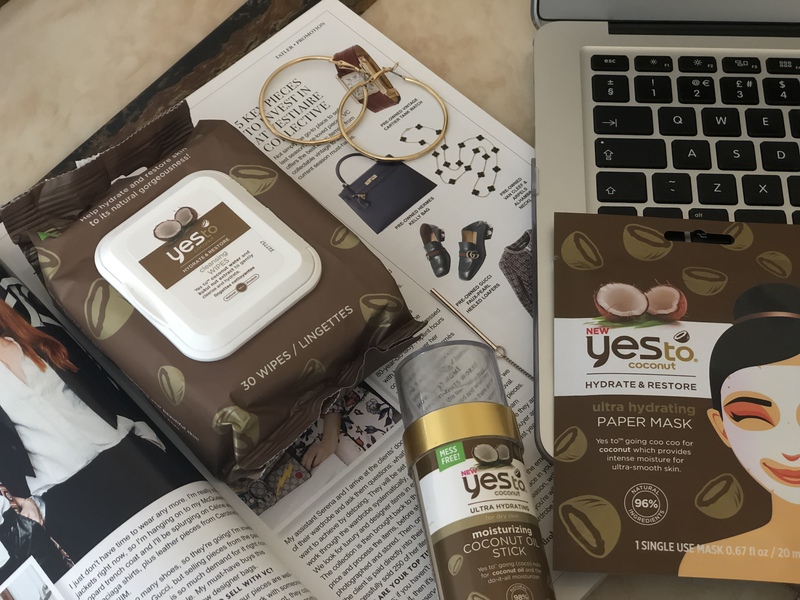 Yes To Coconut Ultra Hydrating Oil Stick – I love the concept of this stick, it’s so easy to apply to your skin. I tend to wear it over night on my skin as I wake up to smooth and hydrated skin. As the heatwave has strikes this week I applied it after sunbathing which made my skin feel so much better. It gives such a nice glow if you want that no make up look perfect for warmer weather and if your on holiday. 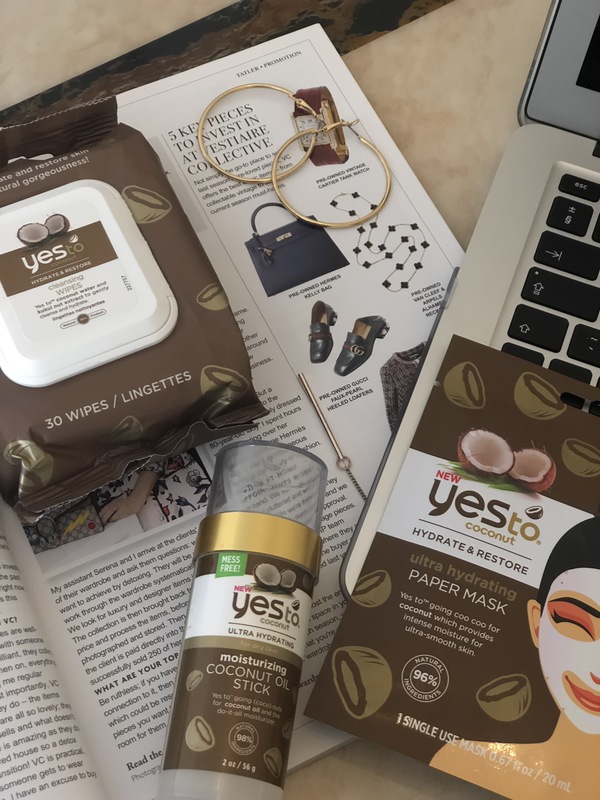 Yes To Coconut Cleansing Wipes – These face masks are honestly a saviour for days i’m being lazy (probably everyday). They’re so easy to take your make up off with and have almost a damp consistency which absorbs into the skin really well. It keeps the skin feeling full of life and not dry after taking the make up off. 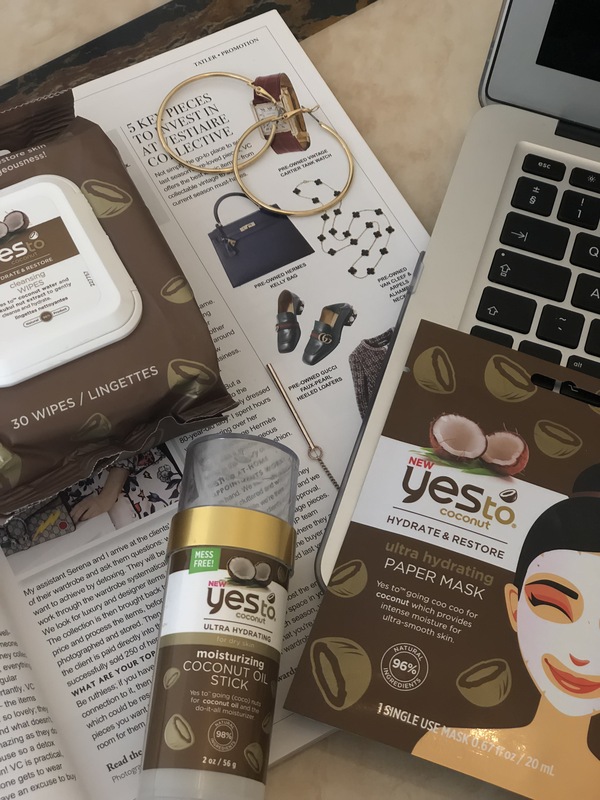 Yes To Coconut Ultra Hydrating Paper Mask – I love a good face mask to treat my skin once in a while. 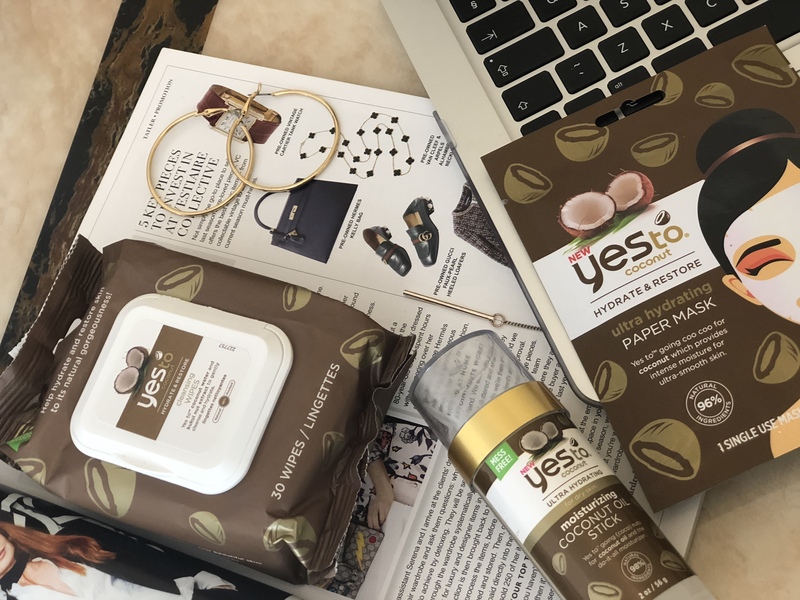 I tend to not do them so often, as sometimes it irritates my skin (I have really sensitive skin) so I don’t mind doing one now and again and I loved this mask, I love coconut and it left my skin feeling FAB. All the products are available on Beauty Bay as well as Boots in store and online.